Retallack Resort and Spa is a family friendly holiday resort in north Cornwall. The resort has its own luxury spa, restaurant and indoor surf centre and visitors also benefit from a swimming pool, tennis courts, games room and a range of childcare options. Retallack Resort and Spa is located near the north Cornwall coast within easy reach of Newquay, Wadebridge and Padstow. Family friendly attractions nearby include Blue Reef Aquarium, Eden Project, Crealey Adventure Park, Dairy Land, Newquay Zoo and Springfields Pony Centre. Many of Cornwall’s most famous beaches include Mawgan Porth, Watergate Bay, Constantine Bay and Haryln Bay are less than a 20 minute drive away. There’s a range of accommodation at Retallack Resort to suit all preferences and budgets: 2-4 bedroom self catering lodges, luxury versions with en-suites and hot tubs, and exclusive Cornish stone houses with up to six bedrooms (max occupancy of 12 people). The lodges and cottages are well equipped and fashionably styled and and have everything you’ll need for a family holiday including comfortable living areas and large outdoor spaces. A week for a family of four during peak summer season will cost around £1200 in a standard two bedroom lodge, rising to £1500-1600 for an upgraded version with hot tub and/or en-suite bathrooms or £2000 for a premium property with lakeside views. Out of season the same properties cost between £400 and £800. There are also a range of additional packages available with various holiday extras included. Retallack Resort is superbly equipped to entertain even the most demanding children of all ages. The resort is set within 100 acres of Cornish countryside so there’s no shortage of safe outdoor space in which to play or feed the local wildlife which includes swans, ducks, moor hens and Canada geese. Entertainment on site includes an indoor heated swimming pool, lounge room with pool table and games consoles, tennis courts, a pitch and putt golf course, and of course there’s FlowRider Cornwall – a wave simulator offering people of all abilities to surf every day of the year no matter what the conditions are like (suitable for aged 5 and over). Also at FlowRider is FlowZone, a fantastic soft play area perfect for keeping babies and toddlers entertained in a safe environment. There’s also a playground for outdoor fun which includes a zip wire. Retallack is unquestionably designed for the enjoyment of adults too. 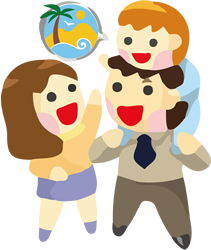 Family friendly properties come with all the baby and toddler equipment you might need including stair gates, travel cots, high chairs, baby baths, changing mats, sterilisers and plug socket protectors. There are several ways in which parents can find some relaxing time to themselves during their stay at Retallack including organised baby and toddler classes, the Jellytots creche (0-3 years) and the Retallack Kids Club (3-7 years). In the evenings, babysitting is also available (pre-booking recommended) so you can enjoy a few drinks or a meal out, and there’s even a supervised Thursday night film club for kids – thoughtfully designed to allow parents to visit celebrity chef James Nathan’s tasting menu at the complex’s on-site restaurant. Also on the complex is the Retreat Spa offering its swimming pool, steam room, sauna, two beauty treatment rooms and a fully equipped fitness suite. For families wishing to bring the family pet along there are a number of dog friendly properties at Retallack, and there’s free internet access across the site (but you’ll need to pay a surcharge for high-speed access). 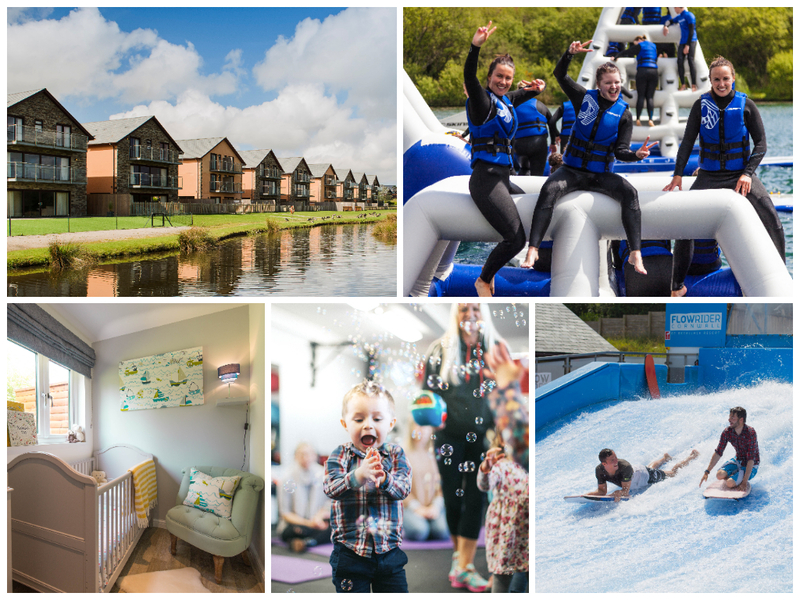 As a fully equipped family resort with a ton of facilities on site and fantastic provision for young and old alike, Retallack Resort and Spa seems to offer everything we’ve been looking for at Parent Friendly Stays in a family holiday – it literally ticks every box! Prices are also very reasonable too; £1200 at the height of the summer in Cornwall is a competitive price in our experience, though you’ll pay quite a bit more for one of the most luxurious properties. Either way, we’re adding Retallack to our list of must-visit Cornish holidays. If you’d like to find out more about family friendly holidays at Retallack Resort and Spa, including booking and availability enquiries, just fill out the form below.